Costco Early Store Openings? Costco is Piloting a 9:00AM Openings! I received an E-mail yesterday from a reader who had some exciting new information! 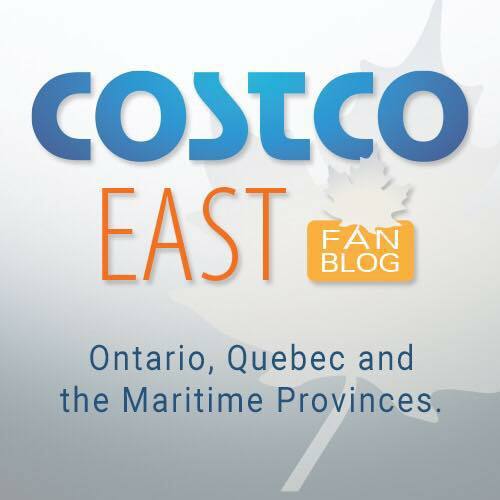 Costco is piloting 9:00AM store openings at select BC Costco Warehouses! The 9:00AM opening is scheduled to begin next week (October 1, 2018). If you head to the Richmond or Langley Costco Warehouses this week, you will find that they are starting to open much earlier than their 10:00AM posted opening time. Right now they are in a transition period as they get used to the early openings! I had a chat with some of the workers and it seems that they are trying to roll out this early opening across all Costco Warehouses in BC! I believe that there is one more store in the Lower Mainland that is also part of this pilot. Can anyone tell me what that store is so I can share it with you all? Unfortunately, I also did not find out if these pilot warehouses will also be opening early on the weekends. Does anyone have any knowledge about this? Let me know and I will share it! If you have ever been one of those people to arrive at Costco at 10:00AM only to witness a Black Friday style line-up, this is great news! I also know a lot of mom’s will appreciate the ability to head to Costco after dropping their kids off at school and to coordinate with their nap times! For those of you who don’t believe, below is a picture the reader sent me that shows Costco opening at 9:17AM on Monday, September 24, 2018 in Langley. Some people must know about this early opening because there were quite a few people already lined up at the door! Heritage Gate, Clagary (AB) Keep the reports coming! Are you excited for a 9:00AM opening at your local Costco Warehouse? Will it make a difference to your Costco shopping? Let me know in the comments!!! Costco Canada Black Friday Phone Deals! Hi Everyone! Black Friday is almost here! We will not be going to early opening as we have already discover the slowest time t visit our Costco. I would be totally excited to see an earlier opening. I hate having to kill time before heading to Costco after school drop off. I remember in July i went to Costco (Richmond) at 9:55am on weekend, and there are people who already finish purchasing and back to their cars. A friend of mine mentioned that it might be the legacy executive member offer of opening 1 hr early for executive. Didn’t know that it was a pilot thing! Sometimes they let customers into the store before 10am. It depends if they are ahead of schedule in preparing the store for opening. Costco used to open at 9AM back prior to 2005 or so for business and executive members, though it sounds like this coming back is for everybody. Willingdon Costco in Burnaby has been opening at 9:00 am for the past week or so. The south edmonton costco is opening at 9:00 as well. Great news for us. It would be wonderful for us as we live in 100 Mile House and travel to Kamloops to do Costco. We often go down for Dr appointments and spend the night in a hotel. It would be really nice to get up and do Costco early to get on the road it’s a drag waiting till ten for it to open when you just want to get home. Hope Kamloops starts this early opening soon too. This would make a huge difference! I do try to hit Costco at an optimum slow time but sometimes that doesn’t work for my schedule. It would be so nice to be there early in the morning instead of having to kill time until they open. Yes. Definitely hate wasting the ti.e after dropping kids off at school for Costco to open. Great idea. Langley store didn’t open until 9:30 this morning. A lot of people were there expecting a 9:00 a.m. opening so had quite a wait. Hopefully things will improve. Apparently they had opened at 9:00 some other mornings. If it’s going to be hit or miss to them opening early, it won’t work. Too frustrating for customers.